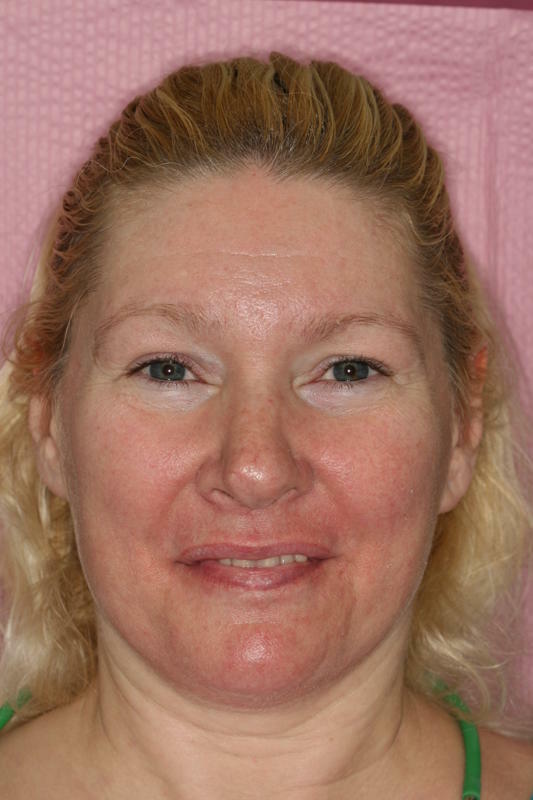 Meet Margie, who lost her upper anterior teeth in a car accident. She wanted to restore her smile and eliminate the removable denture that she wore. 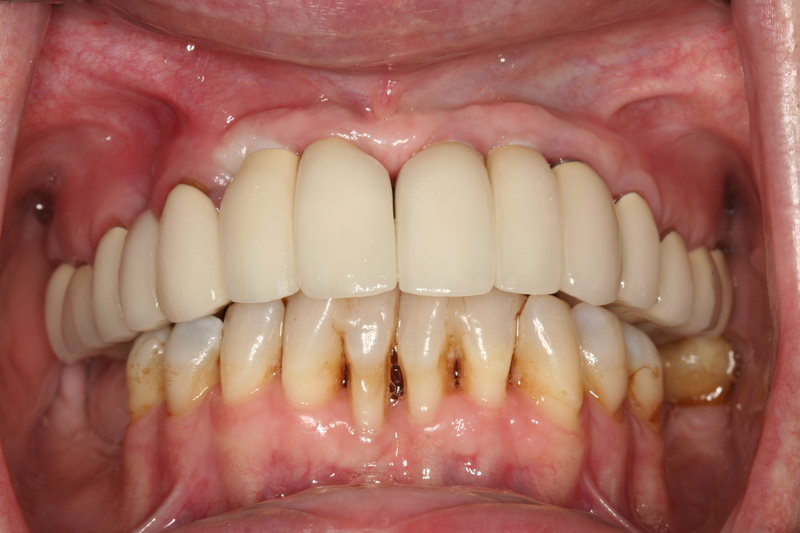 We did a complete upper arch rehabilitation, including root canal therapy, periodontal therapy, extraction of hopeless teeth, and placement of implants in the anterior area where her natural teeth were lost. Today, Margie is smiling and no longer needs her denture.